Picture an enchanted Forrest with rows of pine trees edged by a field carpeted with freshly fallen leaves... Jack Frost not quite nipping at your nose just yet, but winter is certainly coming very soon and Jen Weller, owner of Ever After Bridal, chose this rustic natural setting to grandstand her dazzling line of Veluz winter wedding gowns. 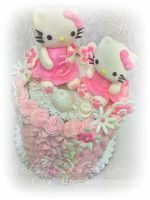 My cake designs added a luscious touch. You will see the full table set up in the video and some behind the scenes shots of Josh Adam Photography in action. 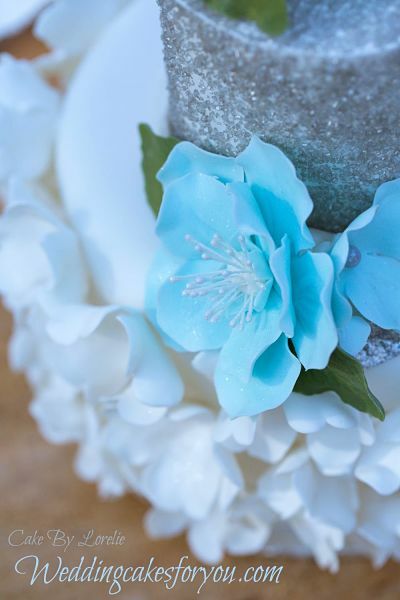 I adore these pretty blue sugar-paste fantasy flowers against the cool silver sugar crystal background. 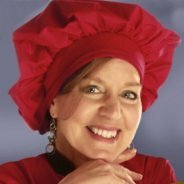 Would you like to learn how to make them? Watch my video tutorial. You will need a variety of tools and cutters which are shown in the video and the stamens can be purchased at the craft shop. Make them ahead and store in airtight containers and these beauties will last for months. 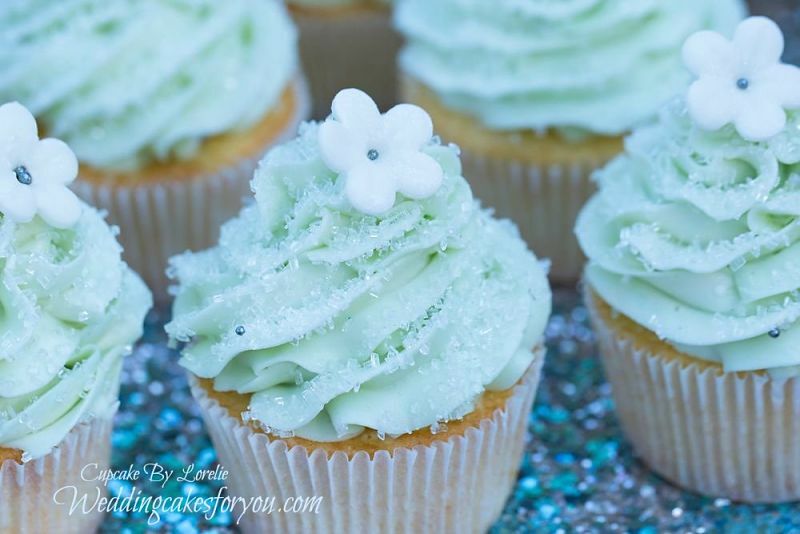 The buttery vanilla cupcakes (recipe here) were lavishly covered in swirls of Italian meringue vanilla buttercream frosting then sprinkled liberally with white sugar crystals. 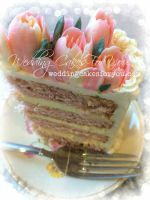 The crunchy crystals add a wonderful contrast to the soft smooth creamy butter cream icing. I made little cut out fondant flowers and placed a small silver sugar bead in the center attached with a tiny dab of icing. 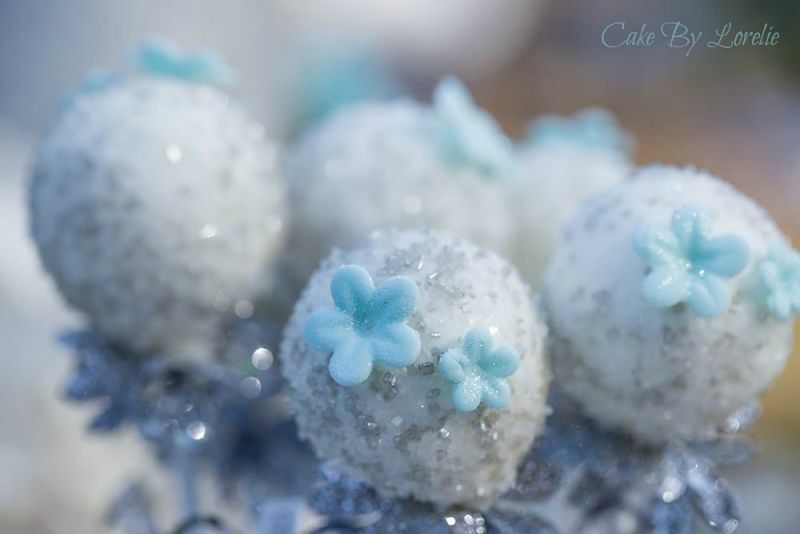 See the shimmer of the silver sugar crystals which were sprinkled over the white chocolate dipped cake pops. 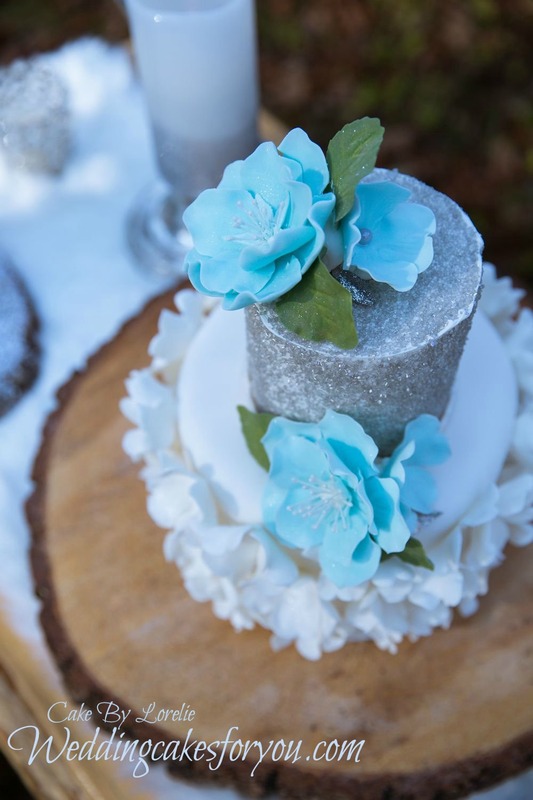 The little blue cut out flowers are simple to make and add a sweet touch of innocence. For added glimmer they are attached to the cake pops with icing then dusted with sparkles. 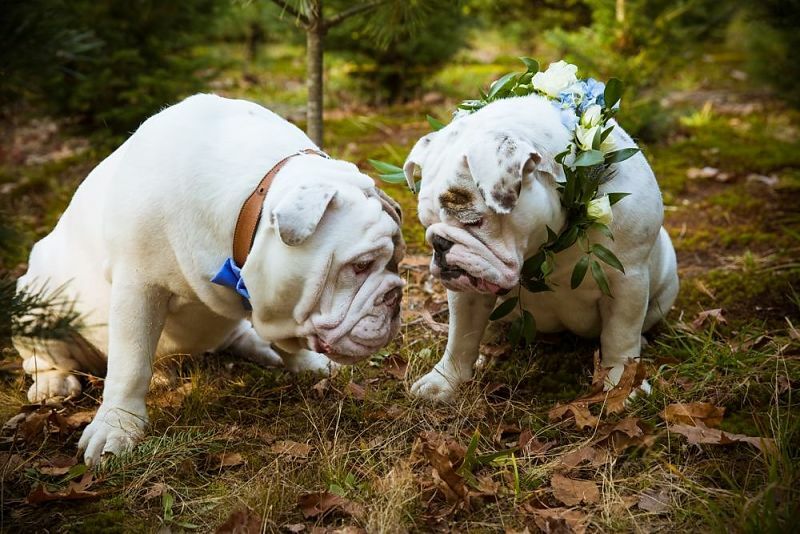 There are many rustic display ideas for you in these photos that would look gorgeous with Winter Wedding Cakes. 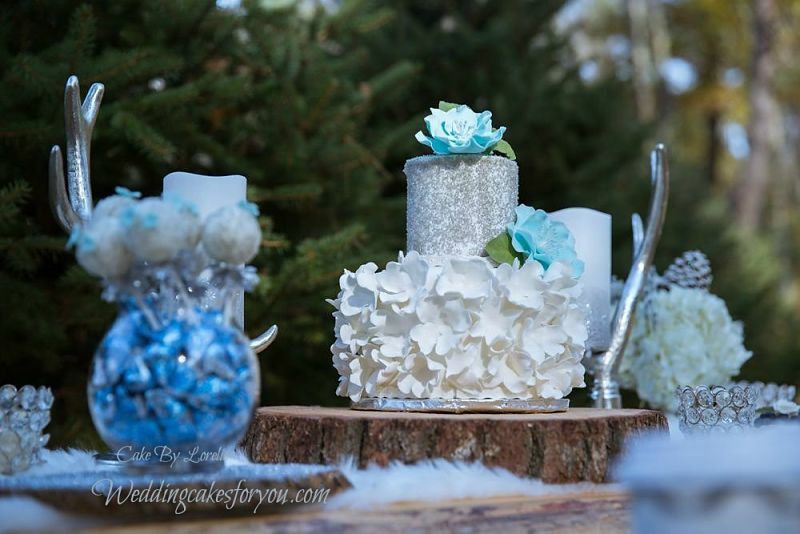 The wood base is a simple solution for a wedding cake stand. The wood tops covered in glitter show off the delectable cupcakes and tarts beautifully. 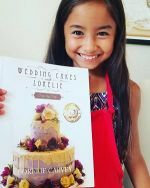 Tip: Make sure that you use little doilies under the tarts so the glitter remains on the wood and not on the bottom of your pastry shell. Little pies and or tarts are a delicious addition to a dessert table. 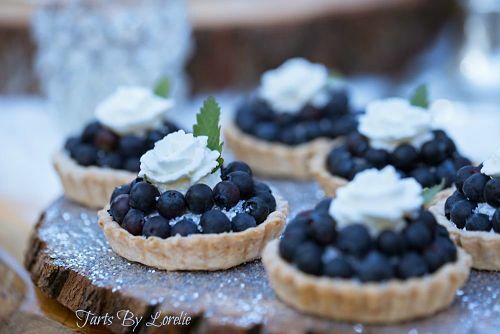 In keeping with the blue and silver theme I made blueberry tarts. They are made using my favorite butter pie dough recipe rolled out, cut and pressed into mini tart pans. Line the tart shells with tin foil and fill them with rice or beans while they bake to keep the shells from puffing up. Bake at 375 degrees until browned and cool them completely. Fill with sweetened whipped cream or pastry cream. Top with fresh blueberries, a dollop of whipped cream and a sprig of fresh Mint. 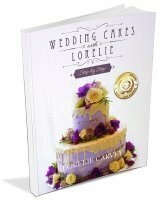 Thanks for visiting my Winter Wedding Cakes page. 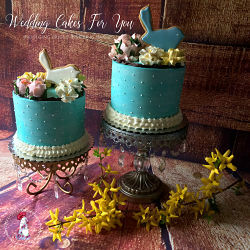 To see more designs that could be appropriate for the cold season or holidays visit the Christmas wedding cakes page.